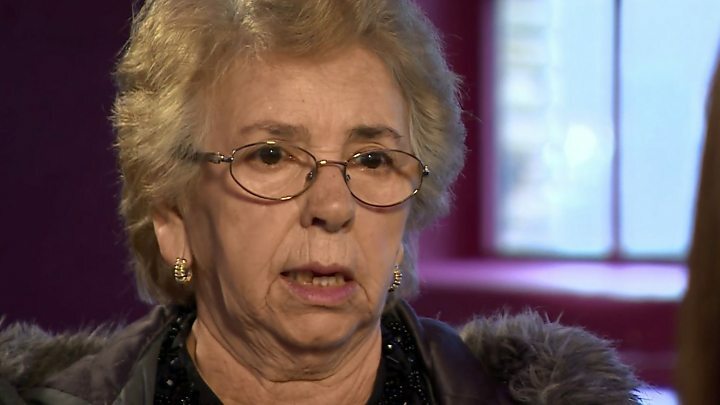 Italian women invited to work in UK mills in the 1950s but now faced with applying to stay after Brexit have said they feel English and have a life here. Many of the “mill girls” settled in Bradford but do not have UK passports or understand why they need to act. Despite being given paperwork stating they could remain in the UK, they now have to make new applications to stay. The Home Office said it would help EU citizens to get the immigration status they needed. Many in the Italian community in the West Yorkshire city have said they were unsure why they were being asked to prove their residency. Maria Olyjnik, who came to the UK in 1959 to work at Salts Mill, said: “I feel English, that’s my quandary. Mrs Althajm, 91, has Alzheimers, and is not aware of what she needs to do. Mrs Althajm was given a certificate of registration – like a work permit – which she kept updated until 1961, when she was told she was exempt from the process and could live in the UK freely. Mrs Philburn applied through the Windrush scheme so her mother could stay in the UK indefinitely. “She had to go for her fingerprints, a face recognition thing, and she now has a biometric card to show that she is allowed to stay in this country,” she said. After World War Two, many towns and cities in Italy were ruined by bombing and jobs were scarce. More people were needed to work in the textile mills in Yorkshire, and a large number were recruited from Italy. Some even had their travel paid for by their employers. Vie Clerc Lusandu, from the3million, an organisation set up to protect the vulnerable EU citizens at risk from Brexit, said: “If they do not apply they will be considered illegal in the country, regardless of how long those people have been in the country. EU citizens will have to answer three “simple” questions online if they want to continue living in the UK after Brexit, according to the Home Office. People will be asked to prove their ID, whether they have criminal convictions and whether they live in the UK. The scheme will operate online and via a smartphone app, and Home Secretary Sajid Javid said the government’s “default” position would be to grant, not refuse, settled status. A Home Office spokesperson said: “We want EU citizens living in UK to stay and the settlement scheme will make it easy for them to obtain the immigration status they need. You can find out more about this story on Inside Out Yorkshire and Lincolnshire, which will be broadcast on BBC One at 19:00 GMT on Monday 14 January and on iPlayer afterwards.